Attention to all CARATs! You’re in for an exciting surprise because SEVENTEEN is coming back to visit Malaysia again this year! As you might not know, this is not the first time SEVENTEEN has ever visited Malaysia – they have made few stops here for their tour including 'Diamond Edge 2017' and 'Ideal Cut' in 2018. However, this time, the heartthrob boy group will be coming for a fan-sign event under The SAEM this 16th February at Pavilion, Kuala Lumpur. 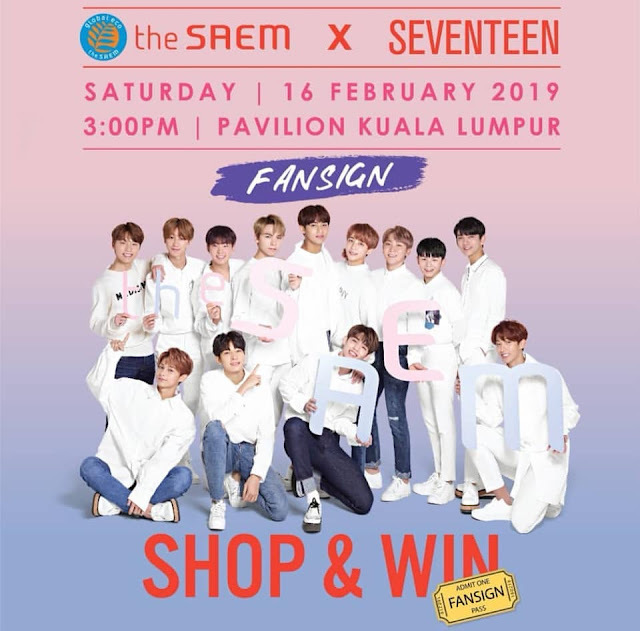 Yes CARATs, you are given another opportunity to stand a chance to meet your favourite SEVENTEEN member(s) up-close and personal in Malaysia! It's time to mark your calendars and start participating because there are only 150 fan sign passes to be won! 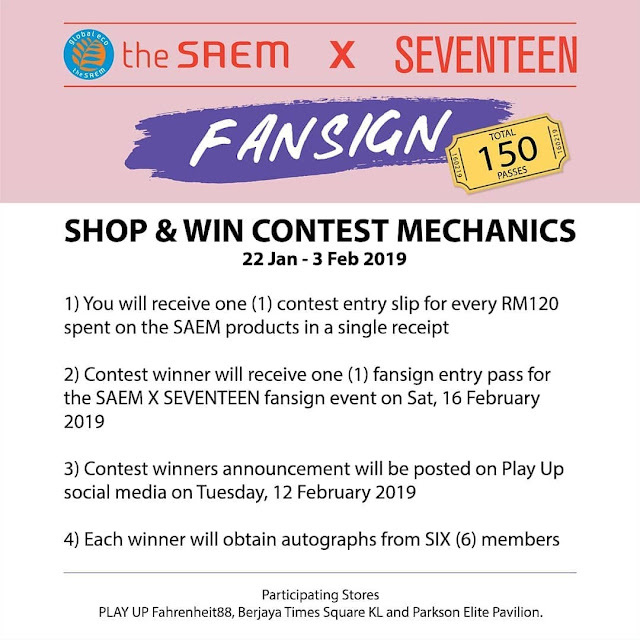 How to win the fan-sign pass? You can check out the details below! SEVENTEEN are the current ambassadors for The SAEM - one of the leading skincare and beauty brands in South Korea. The group has been affiliated with the brand since 2017. Good luck CARATs! You can do it! For more information about the fan-sign event, you can check out Play Up Advance Facebook and Play Up Advance Instagram Page.